In the Philippines, a demand for Litecoin casinos grows as more and more Filipinos begin to see the benefits of adopting cryptocurrencies for secure and decentralized everyday purchases and transactions. Cryptocurrency has become mainstream and is more trusted now than ever before due to a large part of the conversation pointing toward cryptographic technology and its future as a global tool. This is to say that cryptocurrency may not go away as a number of big brands have shown special interest in the technology’s application, including a number of online casinos. Filipinos interested in using Litecoin, shortened as LTC, and other cryptocurrencies can use them as an alternative online casino deposit method to enjoy a variety of online casino games in the Philippines without too much oversight by central banks and governments. Litecoin is a peer to peer digital currency and one of the top 5 cryptocurrencies as of early 2018. Created in 2011 by Charlie Lee, a previous Google Engineer, Litecoin mimics Bitcoin’s technology and functions - often called and known as Bitcoin’s “little brother” or “clone”. However, LTC has a goal to provide faster blockchain generation times. Litecoin like Bitcoin runs on an open source cryptographic protocol which can be modified by anyone in the network but must be approved of by a community. Litecoin’s developers, board, and miners work in a democratic environment and want the technology to be as transparent as possible. Litecoin is one of the few coins whose price faces little extreme changes but rather keeps a stable composure, the same is even more for the steadiness of its transaction fees. Is Litecoin Legal in The Philippines? Yes, this is according to the Philippine Central Bank who released a Circular regarding an official banking regulation procedure for cryptocurrencies. This Circular allowed for the Philippines to take a formal course regarding cryptocurrencies and by not banning it from its nation, has allowed the continued development of cryptocurrencies and their possible applications. For this reason, it is safe to assume that Litecoin and other cryptocurrencies like Dash and Ethereum have a future; at least in the Philippines, due to market demand of Dash casinos and online casinos accepting Ether. However, the Central Bank of the Philippines has made it publicly known that they do not endorse the use of cryptocurrencies and certainly not over the PHP. Officials maintained the warning that cryptocurrencies have no central backing, as it runs off a decentralized network. Are Litecoin Casinos Legal in The Philippines? Philippine online casinos that accept Litecoin deposits are completely legal as the Philippine Central Bank’s circular does not explicitly forbid the use of cryptocurrencies for online gambling. Therefore, Philippine Litecoin casinos are perfectly legitimate and acceptable for Filipinos to participate on and gamble with. In fact, Filipinos are choosing other cryptocurrencies like Litecoin over Bitcoin due to Bitcoin’s increasing transaction fees and slower transaction confirmation and speed. Litecoin’s cryptographic background allows Filipinos the ability to be more anonymous in their activities and thus can reach out to online casinos and gamble. First, interested individuals will need to build a digital wallet to hold their cryptocurrency. Wallets can vary from USB hardware wallets, downloaded software wallets, mobile wallet apps, or a paper wallet, also known as a non-digital private key. Once a digital wallet is built, Filipinos can find an online exchange that can exchange fiat currency into their preferred digital currency, keep in mind it may be a two-step process to gain Litecoins where an exchange may require users to exchange PHP for Bitcoin, then Bitcoin for Litecoin. Litecoins can be exchanged for fiat currency, other cryptocurrencies, and bought at numerous online cryptocurrency exchanges. Once obtained, move the digital currency off the exchange by sending it directly to your digital wallet, this reduces price volatility. Its popularity has grown side by side with the likes of Bitcoin, however, Litecoin can process and verify transaction blocks in seconds and provide secure payments and more, using Litecoin exclusive features. In fact, Litecoin was built to handle a higher volume of transactions than Bitcoin’s system was designed to. Now, Litecoin is readily being used as an acceptable form of payment by grocery, furniture, clothing, and jewelry retailers. Online casinos that accept cryptocurrency deposits should have crypto deposit systems integrated into their cashier or have a specific wallet address where Filipinos can send their cryptocoins to, so they may fund their account. This process should be one of the fastest, especially if using Litecoin with their near-instant transaction processing. 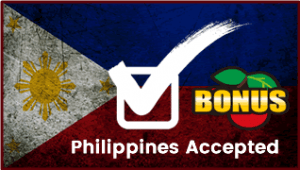 This allows Filipinos more time to play online games like Baccarat, Blackjack, Slots, Pai Gow, and Roulette more readily. Philippine Litecoin casinos are known to provide hefty bonuses for first-time cryptocurrency depositors. Usually, they will grant a 100% match bonus for a Filipino player’s initial crypto which is added to the player’s balance instantaneously. Of the top Litecoin casinos we recommend, these casinos offer a match bonus value up to an equivalent value of $1,000.00 USD. That is a lot of extra free plays. Of course, each casino has a right to subject their bonuses to their list of terms and conditions. The cryptographic technology used to create cryptocurrencies is inherently safer than most people will believe. Litecoin is just as secure as Bitcoin if not more secure, this is due to adjustments and developments in Litecoin’s algorithm and network to better protect itself against the vulnerabilities Bitcoin and other cryptocurrencies face. Litecoin’s hashing algorithm is different than Bitcoin’s and runs off Scrypt, which means they will not face identical issues or compete with one another directly on the blockchain. Litecoin’s Scrypt algorithm is ASIC resistant, which slows its output and creates more tedious work; but it is also resistant to flood attacks, an issue Bitcoin still faces. What Benefits Are Associated with Using Litecoin? Litecoin offers faster transaction processing and confirmation than Bitcoin. The digital currency’s instant integration in online casino cashiers allows for faster access to games. Litecoin’s value also acts more rational and stable which makes it a less risky coin to obtain. While Litecoin’s value is also related to its usage and circulation, Litecoin maintains a higher maximum coin circulation than Bitcoin at 84 million Litecoins and has remained in the top 5 cryptocurrencies with a high valuation and market cap. With new updates and applications coming to the Litecoin network a number of benefits have come with it. New beneficial applications and updates include 0.8 Client, the Lightning Network, Segwit, and Atomic Swap. Due to the launch of these applications the scalability, function, and speed of transactions are improved. This equates to more readily available online game time and access for Filipinos. Are There Disadvantages to Owning Litecoin? To mine, verify, and operate the Litecoin network a substantial amount of memory on the back end is required, therefore, Litecoin’s proof-of-work algorithm Scrypt is a memory-hard system. With the increasing applications, mining devices are becoming more complicated to create and expensive to produce. Not only this, the cryptocurrency market volatility provides another hurdle for Litecoin owners. These issues may eventually cause miners to raise transaction fees and the value of the cryptocoin. Outside of potential price hikes, Litecoin does not offer the same amount of privacy as many may assume cryptocurrencies provide. Litecoin utilizes its blockchain to maintain a public ledger of transactions and with features like Litecoin Block Explorer, make any transaction visible, searchable, and capable of being connected to a user’s wallet address. Which is a risk that other cryptocurrencies circumvent.